The "Glamour Ghoul Craft Box" sounds funny, like it should have spiderweb eyelashes and blood vile paint, but the theme is from The Craft movie! It should come as no surprise that The Craft is a favorite movie of mine. I blogged about it back in May 2017. 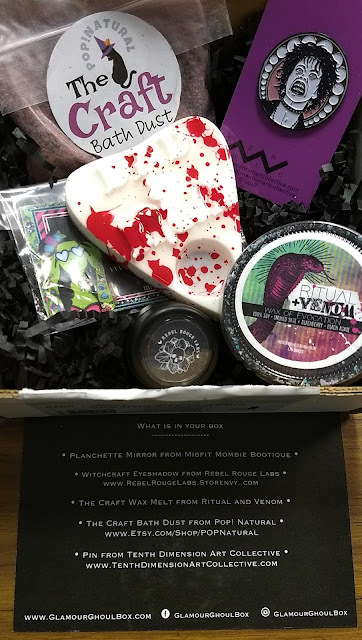 I even ordered the Coven Creeper Crate last year in the hopes of getting lots of Craft themed goodies. You can read about that unboxing here. 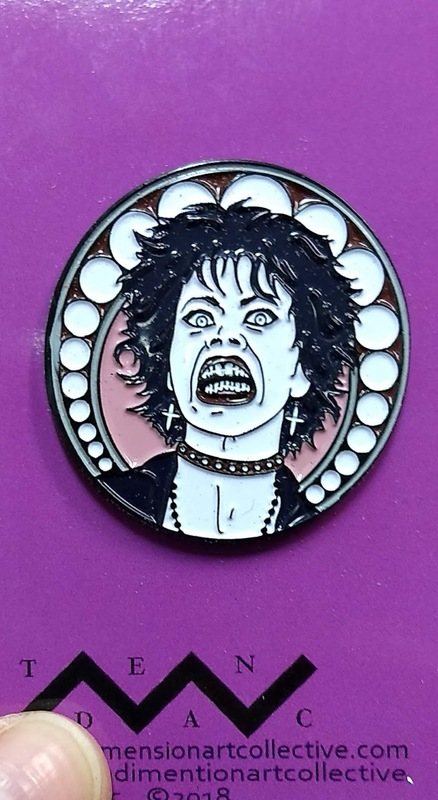 The movie came out when I was in college and when I was finally feeling secure in my gothiness ~ I found my cult of weirdos! 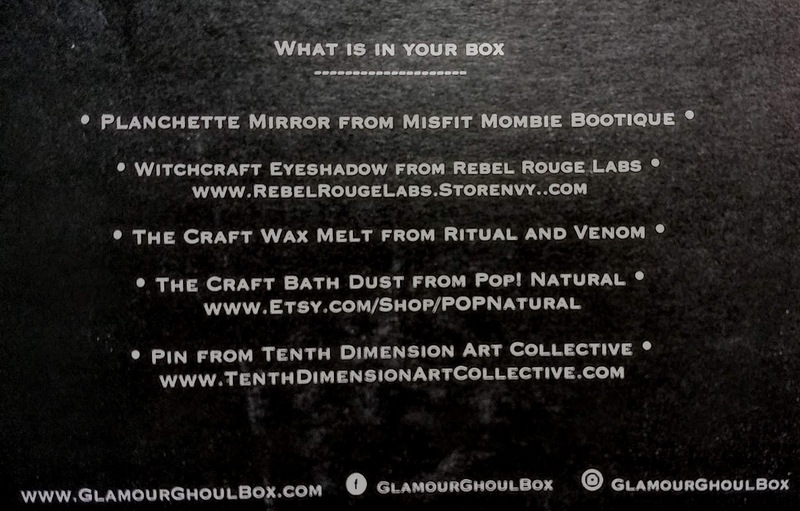 I was excited to see that Glamour Ghoul chose The Craft as it's next theme, so I ordered the box. 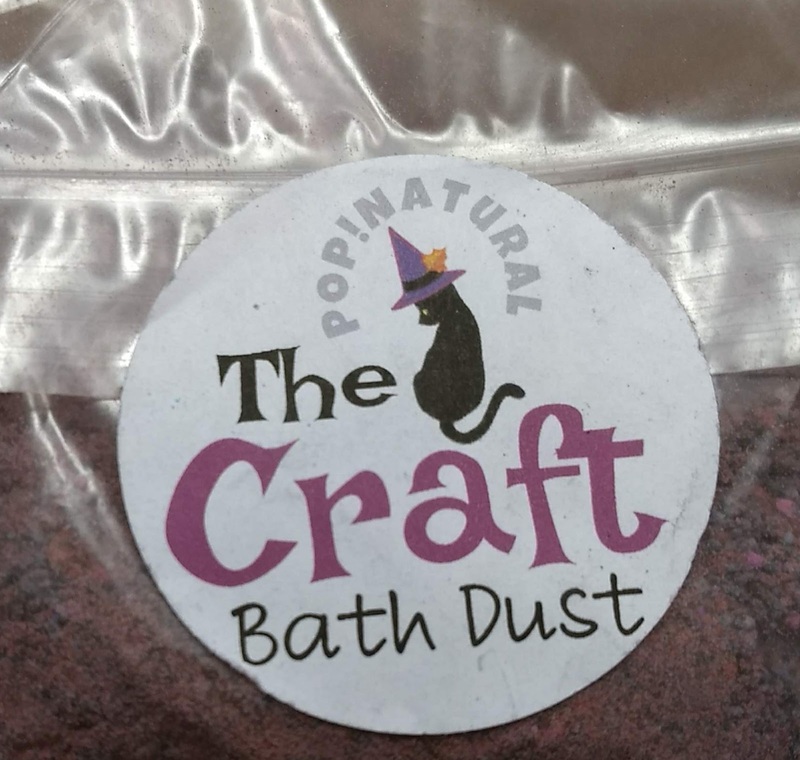 Bath Dust from Pop! Natural. It was really messy in the box. I tried their facial mask and it was really nice, curious to see how this is. 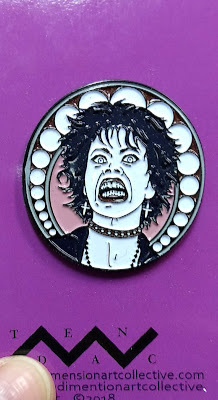 Nancy Pin from Tenth Dimension Art. This is hilarious. It available in a different colorway on their website! 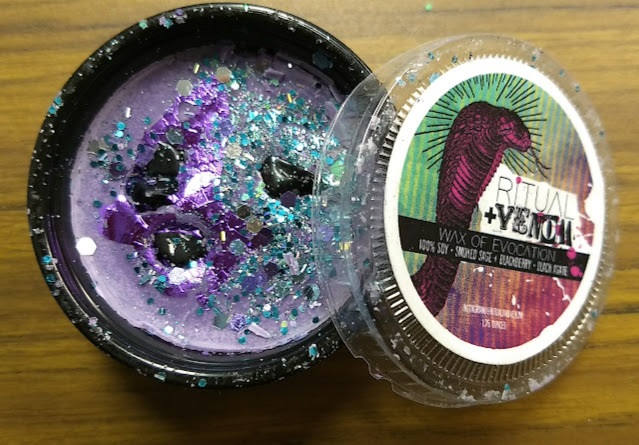 Wax Melt from Ritual and Venom. This smells SOOOO good. 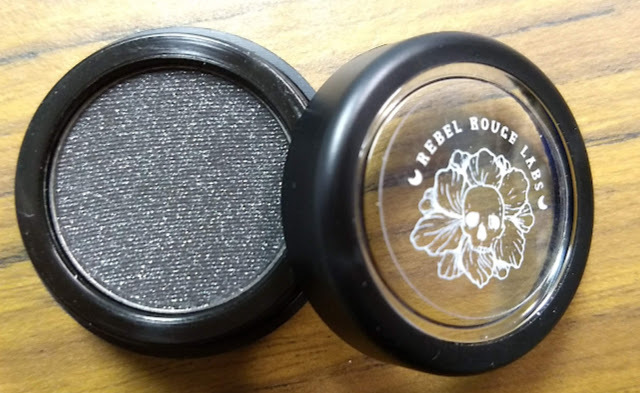 Witchcraft Eye Shadow from Rebel Rouge Labs. 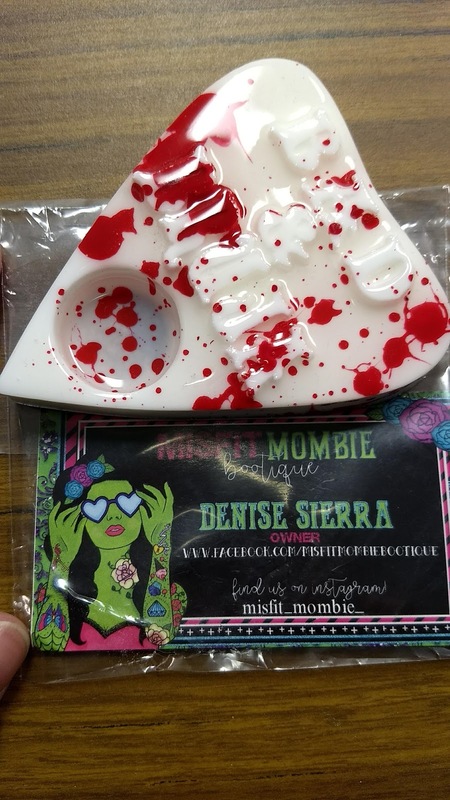 Excited to try this! 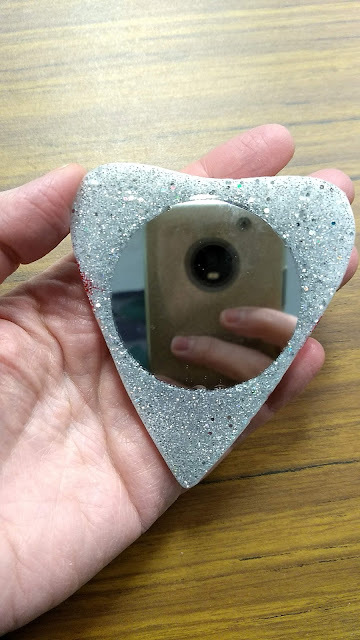 Planchette Mirror from Misfit Mombie Bootique. Reads "Bad & Bruja". Thanks for watching and/ or reading! Stay weird.